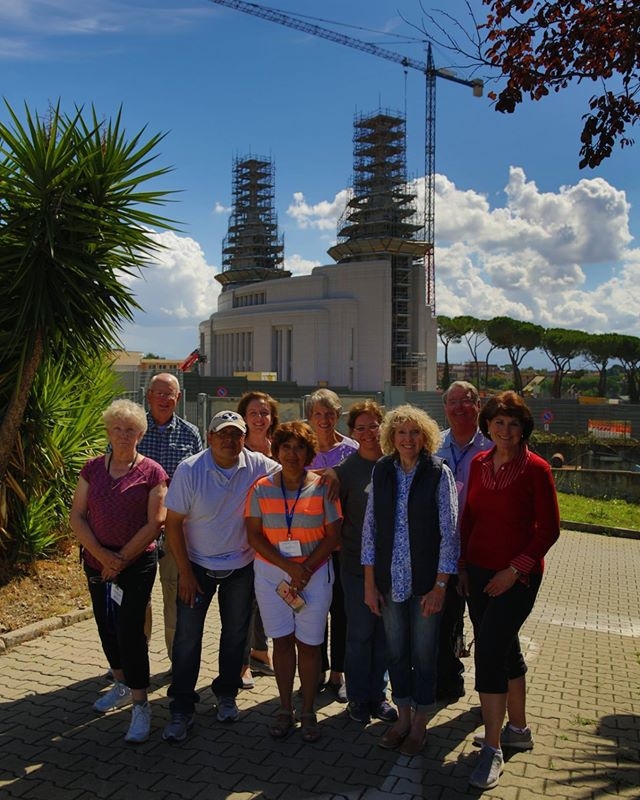 Join director Anthony Sweat, BYU professor, speaker, author and artist to discover the history and delights of the Eternal City and surrounding regions on this 8 day Rome, Florence, and Southern Italy tour that includes the attendance at the newly *dedicated LDS Rome Temple. You’ll spend all 7 nights in Rome, enjoying the “unpack once” feature while seeing all the major sites we can pack into your tour. We’ll visit the Roman Colosseum, the Vatican, and Pantheon, Spanish Steps and Trevi Fountain as well as other special religious sites with the highlight of course attending the long-awaited LDS Temple. Also, this tour has 2 special day tours outside Rome. We’ll travel north to the Florence, considered the “Cradle of the Renaissance” is an art-lovers dream and your sightseeing highlights such masterpieces as Michelangelo’s David in the Academy of Fine Arts. We will travel south to the historical city of Naples, the stunning Amalfi Coast and UNESCO-listed volcanic ruins of Pompeii. A combination of guided walking tours and free time provide a balanced sightseeing experience. We depart our US home cities for an overnight flight to Rome. We will be greeted at the airport by our local tour director who will introduce us to Rome as we make our way to our hotel. Along the way we will enjoy a panoramic tour of the city seeing many of the historic sites we will be seeing during our visit. After check in you will have some free time to relax from your journeys. Tonight we will gather together for a welcome dinner at the hotel. This morning after breakfast, we will travel by coach to attend a local Sacrament meeting. Afterwards, we will return to the hotel to change our clothes before spending the afternoon seeing some of the highlights of this historic city. As we arrive at the Colosseum, walk underneath the Constantine Arch, then enter the huge arena dating from 79 AD. Next stop if the roman Forum, where the ancient market place seems to jump to life as we stroll through the ruins. After the visit, you will return to the hotel. Remaining time is at your leisure. This morning we will tour the Vatican, the world's smallest, yet wealthiest, independent state. Our guide will start with an overview of the history of the Vatican museums and Sistine Chapel and we will see the Hall of Tapestries and the Maps Gallery. The highlight of the tour will be the Sistine Chapel where the ceiling is covered with Michelangelo's famous paintings of the 'Creation' and 'Last Judgment.' Then we explore St. Peter's Square, with Bernini's 284 columns, before entering St. Peter's Basilica, the largest church in Christendom. We will see many treasures including the golden mosaics of the apse, Bernini's bronze baldachin, and the famed 'Pieta' by Michelangelo. This afternoon we are free to enjoy the city of Rome. Today we will take a day trip from Rome to Naples and Pompeii, and discover these sights as we listen to a tale of the ancient volcanic eruption before touring of Pompeii’s UNESCO-listed archaeological site to see the ruins and monuments that lay buried for centuries. After a lunch stop, we will travel around Naples by coach to see Castel dell’Ovo, Piazza del Plebiscito, and Naples Royal Palace. 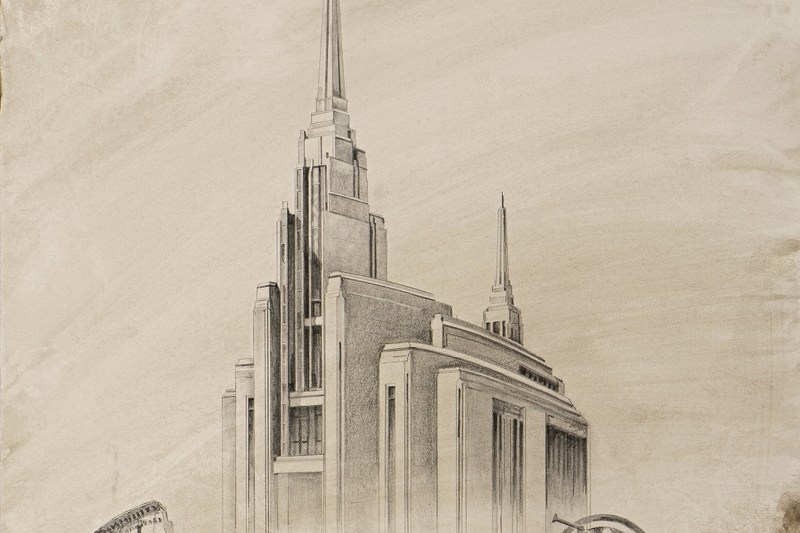 After breakfast, board our coach and transfer to the newly dedicated LDS Temple and enjoy attending a session or touring the grounds. In the afternoon, enjoy a walking tour of the old part of town to see popular and beautiful squares as Trevi Fountain, Pantheon and Piazza Navona. Rest of day at leisure. Today we head north to take a break from the bustle of Rome and visit the famous cities of Tuscany on a full-day tour to Florence. In Florence, the birthplace of the Renaissance, we will admire artistic masterpieces like Michelangelo’s ‘David’ at the Accademia Gallery and walk beneath Brunelleschi’s famous dome. It’s a beautiful day as we travel through the picturesque Tuscan countryside to make our way back to our hotel in Rome. Free day in Rome. Farewell dinner. Today is ours to explore the city at our leisure. The options are endless for you to maybe revisit one of the many sites that inspired us during our touring or possibility spend the day shopping or trying the many gelato & pizza restaurants the city has to offer. Tonight we gather together for our farewell dinner at the hotel. Bidding a fond farewell to Italy, we will travel by coach to the Rome Airport and then board our flights back to the USA.